Music which reminds us of beautiful memories, destinations we long to visit or return to, experiences that have shaped our lives in ways more magically than we could have imagined, is music worth having available whenever we need it most. Whether to set the tone for each day, to remind us of all the goodness we have experienced and will experience again, or to move us to sway and dance as a means to celebrate something most wonderful, enjoying beautiful music is indeed a simple luxury. Late last year a TSLL reader requested I compile a French playlist, and so I have pulled together a few of my favorite French-inspired songs, some old, some new, some jazz (okay, well, all of the songs are jazz, I must admit), some with vocals, some without, some from the soundtracks of favorite movies (Paris Can Wait and Something’s Gotta Give for example) and some that embody beautiful reminders of classic and forever Paris and the French culture. The entire playlist, Escape to France, is available on Spotify — click here to listen on their app or website — and below I have shared the songs in order should you want to pick and choose songs to add to your own playlist. ~Good news! If you don’t already have the Spotify app, you can download it for free and listen to the music for free as well (there will be ads unless you pay for the premium subscription)). I currently use the free version. 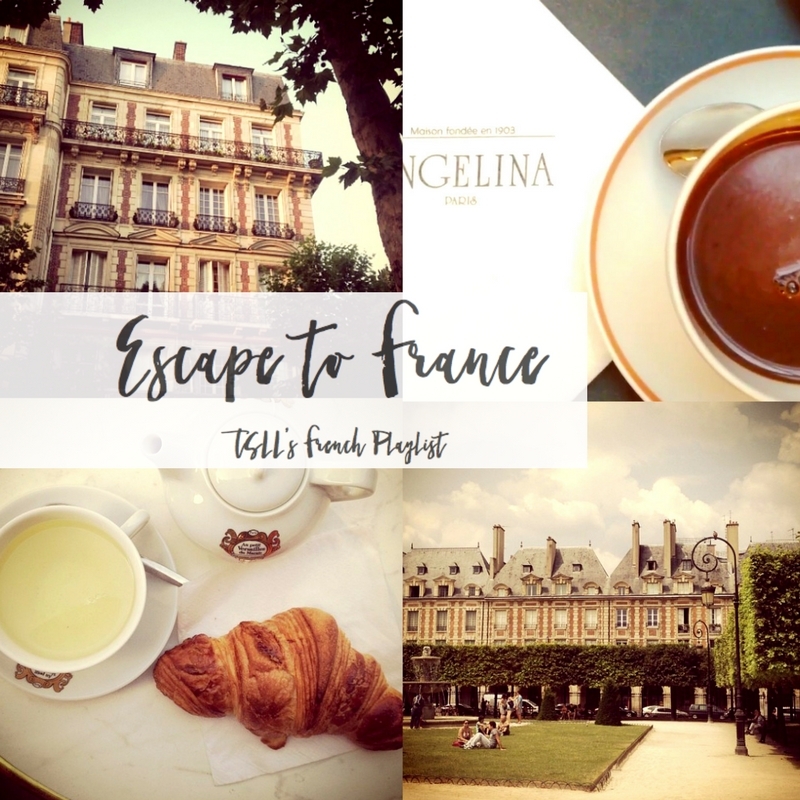 ~Escape to France with the most recent episode of The Simple Sophisticate podcast episode. Cookbook author and blogger of On Rue Tatin Susan Hermann Loomis joined me to talk about food, France and Julia Child – click here to listen to episode #192. Lovely playlist. Really transports me to Paris. Will be an afternoon favourite. Thank you for sharing, Shannon. You need Georges Brassens in there! How about “Les Copains d’Abord”? Don’t worry! There will be more playlists! 🙂 Thank you for the suggestion. As always, merci beaucoup for the TSSL francophile finds. This playlist is a keeper! Just what I need to kick myself into planning gear for my upcoming trip to my dear Paree! Thanks for sharing this playlist. It was the perfect playlist for my lunchtime stroll. Thank you for this wonderful playlist! I will enjoy listening, especially on the weekends. Would love to hear any other French themed or jazz themed playlists too. Merci! I’m enjoying this journey! At 75 years young, it is so heart warming to visualize.